2017 was crap. But we wanted to inspire millions of people that 2018 was going to be better...even if it's just a little bit better. How did we do that? With a giant Magic 8 ball. At Times Square during the NYE ball drop. 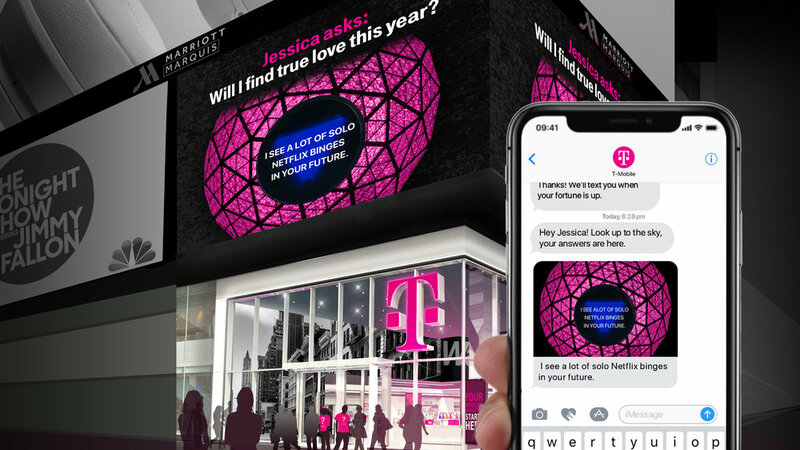 To get your fortune all you have to do is text your question to the big screen. Wait for your response text. 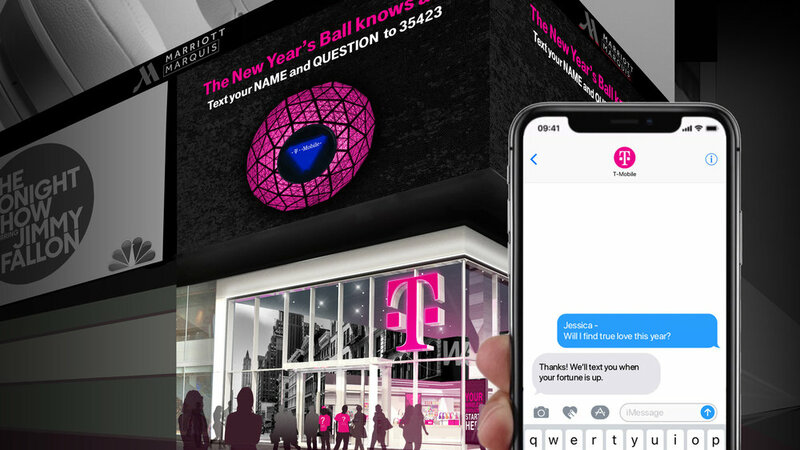 Shake your phone to shake the Magic 8 Ball and voila the T-Mobile oracle will tell you your fortune for the year. Unfortunately 2017 was also the year of $0 budgets for giant Magic 8 balls. But 2018 is looking bright.